As soon as your baby is old enough to learn the joys of swinging, it fast becomes their favourite pastime, with frantic gesturing to the swing-set every time that you walk past the playground. Imagine if the miraculous toddler-calming effects of swinging could happen at home so there was no need to even go to the park? Imagine no more, we have it. 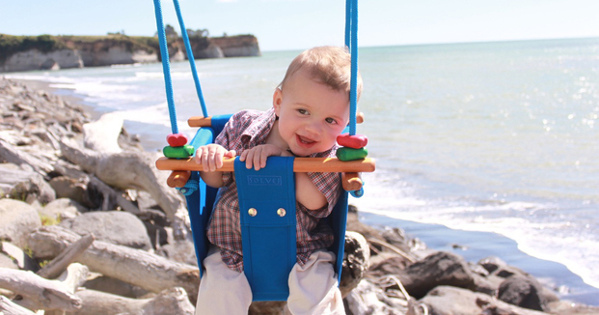 The Solvej (pronounced sool-vay) baby and toddler swing is one of the most versatile baby/child swings that I have seen. Suitable for babies from six months right through to six-year-olds, your child could enjoy years of joyfully swinging through the air on this gorgeous looking swing. Made from high performance yachting braid and rot-proof acrylic canvas, the swing is virtually weatherproof. It can also be used indoors with the correct fittings and fixtures – ideal for keeping busy toddlers out of the kitchen while you’re cooking! It has both a safety belt and leg divider for younger children, and the leg divider can be easily removed for older children. Solvej also offer a special needs version of their swing with a high back and torso support. Here at Babyology we are unashamed aesthetes, and the Solvej Baby and Toddler swing is not only super functional, but it looks great. 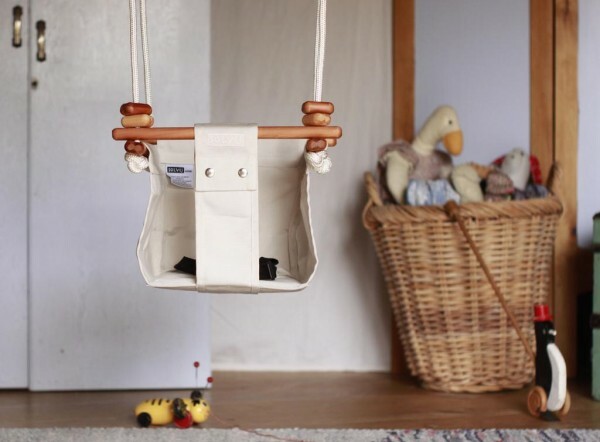 Complete with wooden beads to entertain little ones, the swing comes in an array of colours inspired by New Zealand (there is even a ‘Small Blacks’ design!) and the Pacific region. Available for $220 from Solvej Swings or from a range of retailers around Australia.